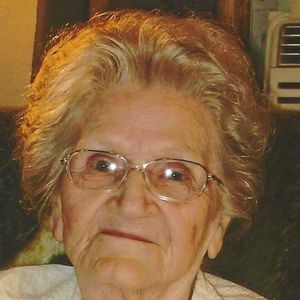 DUNMOR - Kathleen Schroader, 86, of Dunmor, died Monday, August 28, 2017, at 1:01PM at Owensboro Health Muhlenberg Community Hospital. Mrs. Schroader was born July 22, 1931, in Ohio County. She was a homemaker and member of Lighthouse Apostolic Church. She was preceded in death by her daughter, Lilly Mae Smith; son William Lee Ashford; and grandchildren Jimmy Cozee and Ricky Cozee. She is survived by her son, Wayne (Deborah) Schroader of Beechmont; daughters Robin (Gordon) Estep of Dunmor and Cathie Schroader of Central City; grandchildren Leslie Flener, Betty Minton, Kimberly Embry, Kenneth Cozee, William Calvert, Dena Calvert, Chasity Sledge, Patrick Floyd, Charity Beasley, Kody Estep, and Katlynn Estep; several great-grandchildren and great-great-grandchildren; sister Ruby Randall of Louisville; and several nieces and nephews. Funeral services will be Friday, September 1, 2017, at 12:00 noon at Tucker Funeral Home in Central City, with Elder Miles Miller Sr. officiating. Burial in Rose Hill Cemetery. Visitation will be Thursday after 5:00PM at the funeral home. Online condolences may be made at www.tuckerfuneralhomes.com. Granny, I miss you! But I wouldn't call you back for anything! So thankful that you aren't suffering any more! Looking forward to see you & Billo again! I love you! So sorry for your loss. Just to let you know that my thoughts and prayers are with you and your family. I hope all of you feel the comforting hands of Jesus wrapped around you. Dear Kathy Wayne and Robin. So sorry to hear of Kays passing, I loved her dearly. I know she is with Lilli and Billy and Ricky and free from pain now. May peace and comfort envelop each and every one of you .